Over the last several years there has been an array of devices that are available to monitor sleep from the comforts of one’s own bed. These devices claim to monitor the quantity of sleep and some also claim to monitor the quality and stages of sleep. So, is this a good thing? Humans love to measure everything. We measure by timing how long things last, we measure speed to assess how fast things go, we measure length, height and width to see how things fit, and we measure weight and mass to assess how big things are. In medicine, we measure everything we can and compare it to what we define as normal. Blood pressure, pulse, temperature, body mass, blood levels of hormones, various chemicals, and molecules are routinely assessed. Lung, heart, kidneys, and liver functions can all be measured in various ways. Sleep began being analyzed in earnest in the 1950’s. Analysis requires sleeping at a sleep testing facility and being hooked up to multiple wires that routinely measure brain waves, eye movements, muscle tone, oxygen levels, respiratory effort and rate, electrocardiogram, and leg movements. Normal values for all these parameters have been argued and sometimes established. The definition of sleep and its stages is based on 3 of these parameters, brain waves, eye movements and muscle tone. Research has tried to evaluate the significance of the various sleep stages and quantify the normal amount of sleep time that should be spent in each stage. Interesting studies have suggested relationships between sleep stages and certain pathologies, but nothing that is definitive. Part of the problem is that what we measure may not truly reflect the biological differences between various levels of sleep. There is also excellent data that demonstrates that it’s not just the quantity of sleep, but also disruptions to sleep that prevents sleep from being restful. 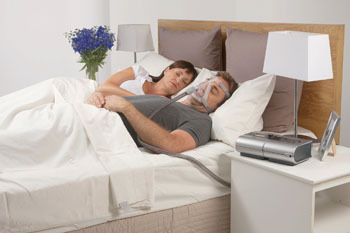 Sleep apnea is a classic example. 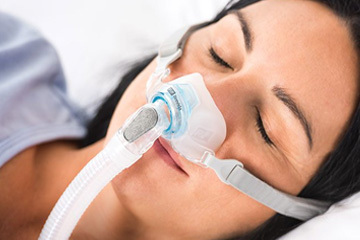 There is no doubt that there are significant and potentially severe abnormalities of sleep that need to be addressed and are best resolved by physicians trained in Sleep Medicine. It has been well established that to feel well rested during the day we need a certain amount of sleep. There are studies that quote what the average needs are, but this can be highly individualized. Simply, one needs as much sleep as it takes to keeps us from fighting sleepiness during our waking hours, and to function at our best level of alertness. Missing two hours of sleep compared to what is required can lead us functioning as if we have a measurable alcohol level. So how do we figure how much sleep we need to function at our highest level. If you feel well rested now and always feel alert you are getting enough sleep. If you feel that you could use some improvement try increasing your sleep time by 30 min. each night for a week and reassess. Continue to do that weekly until you are able to conclude how much sleep you need to be at your best. We can evaluate the utility of wearable devices that monitor sleep. Understanding that all these devices attempt to measure sleep using indirect information, not the actual data (brain waves, eye movements and muscle tone) used in a formal sleep study. It’s important to understand that there are differences in a device’s ability to accurately measure the parameters that are to be considered, which adds another level of potential error in interpreting the data. Essentially, these devices attempt to quantitate and some try to assess the quality of sleep, without using measurements of brain waves, eye movements, and muscle tone, which are at the very essence of sleep definition. The second question is how helpful is measuring sleep by these wearable devices? Certainly, in most cases one could write down after each night the length of sleep and be reasonably accurate. However, just as monitoring our steps during the day may motivate one to walk more, possibly seeing a digital number representing our sleep time may induce one to increase the amount of sleep obtained; assuming we do not feel fully rested during the day. If we are unaware that our sleep is being disrupted these devices may help point in that direction, although if available, a bed partner’s history may be more valuable. Fitness bands made by Jawbone and Fitbit; watches made by Apple, Samsung, Pebble, Motorola, Sony, and LG, all profess to monitor sleep. The accuracies and ease of use can all be reviewed by searching the Internet. But, remember the utility of these devices remains questionable. Using them to evaluate sleep when one has no complaints seems of little value. 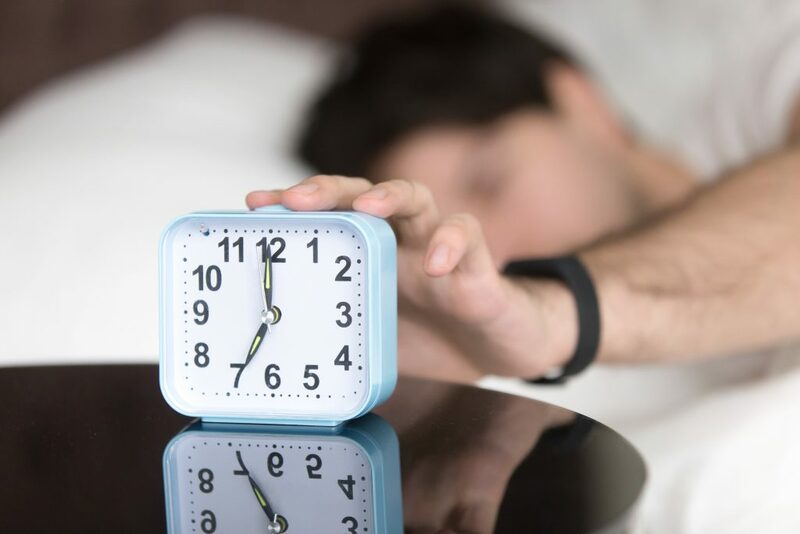 If one does suffer from sleep difficulties it is important to discuss this with your physician, and possibly seek consultation from a Board Certified Sleep Specialist.